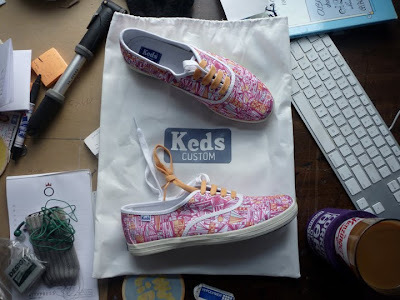 I am very excited to unveil these one-off Keds that I produced specifically to be raffled off at PAPER BLOG on March 19th. The pattern on these Keds is one that I had been working on for a little while, it is what the internet looks like to me, a more colorful version of binary code if you will (or something like that). 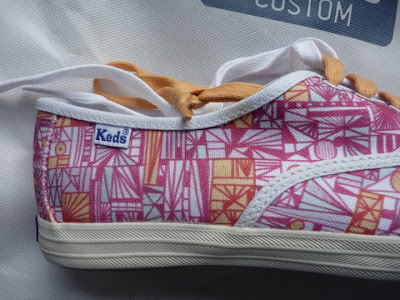 Anyways, the original pattern can be seen on my flickr photo stream HERE, and though the maroon did print very light on the Keds I think that it still looks great and would be a really sharp summer shoe. Oh yeah, and the shoes are size 8.5 in Women's, and I got these printed at Zazzle.com. Thanks.